Folks packed Main Street Monday, celebrating the 42nd annual Tisbury Street Fair. Attendees enjoyed food, music, and bargains. 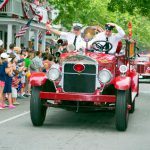 Martha's Vineyard celebrated the Fourth of July with a parade in Edgartown where the accent was on patriotism and community. 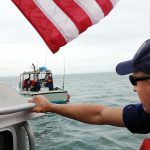 Coast Guard Station Menemsha participated in a nationwide program to educate boaters about alcohol and drug use on the water. 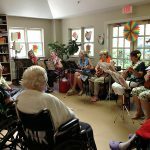 The Princess Poo-Poo-Ly Band arrived with ukeleles, kazoos, egg shakers, and leis much to the delight of the nursing home residents. 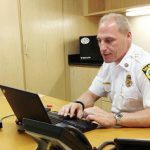 Martha's Vineyard native returns to the Island to join the Tisbury police department. 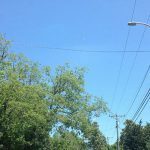 The West Tisbury zoning board of appeals (ZBA) approved a special permit on June 13 for Verizon Wireless to construct a 66-foot tower on private property owned by Robert Doane off New Lane. Martha's Vineyard Community Television members are setting up in a brand new facility off Edgartown-Vineyard Road. Edgartown and Oak Bluffs estimate replacing conventional street lights with LED lights will mean a combined annual savings of over $40,000. 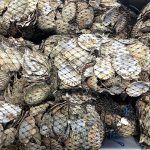 One-acre oyster bed restoration underway in Tisbury Great Pond. The Nature Conservancy will monitor the project for two years. 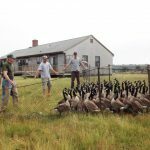 The Mass Division of Fisheries and Wildlife team banded more than 100 geese Tuesday in an effort to get data on the non-migratory population. 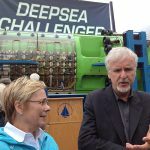 Mr. Cameron used the Deepsea Challenger to dive to the earth's deepest ocean canyon and gave the craft to the Woods Hole Oceanographic Institution. 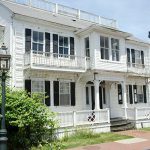 Town officials Monday rejected the only bid for the Captain Warren house. They plan to re-advertise with a minimum asking price of $2.3 million. Police now work on routine paperwork at an office in the Oak Bluffs School. The result is a welcome increase of law enforcement presence. 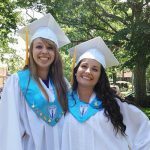 Dreams intact, a community's support behind them, Sunday's Martha's Vineyard Regional High School graduates look to challenges ahead. 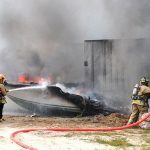 About 3:30 pm Thursday, Tisbury firefighters fought a fully involved boat fire behind Carroll's Trucking that destroyed two boats and damaged a truck.